Renew your EuroCham membership 2019! EuroCham is honoured to have you as our member and looks forward to continue working together with you to make 2019 another successful year. In 2018, we have continued upgrading our internal memberships management, implemented many activities and events, and initiated new projects! 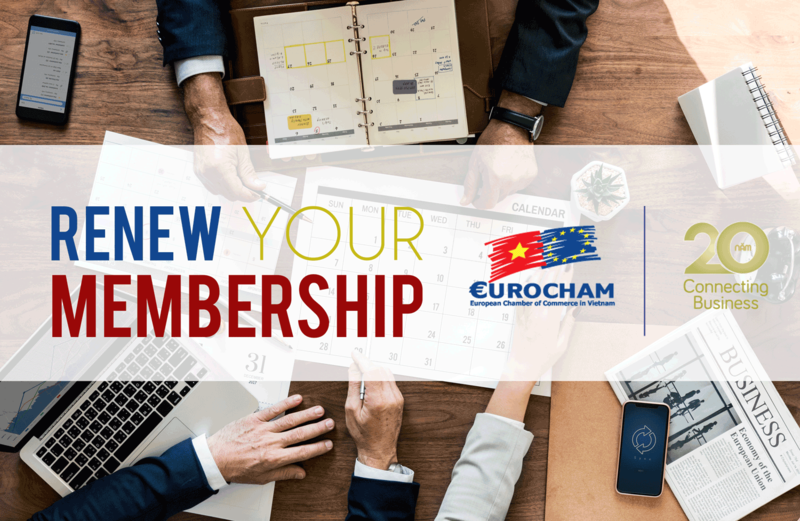 Your membership is what makes it all possible, and it is your trust that allows EuroCham to work towards the improvement of the business environment in Vietnam, connecting our business community, and bring value to you and to your business. Thank you. We hope we can continue to count on your support in 2019! Please be informed that only the completed profile in Word format submitted directly to EuroCham’s Membership team by 28 February 2019 at the latest will be featured in the Membership Directory. Any revisions made online through the CRM system will not be reflected in the print version of the Membership Directory 2019. In 2019, EuroCham Members will receive one printed Membership Directory per company, rather than one per company representative. Payments made by members and profiles submited after deadlines will mean that we will not be able to include their profiles in the printed EuroCham Membership Directory 2019. Payment settlement also affects your voting rights during the ensuing EuroCham Annual General Meeting. For other Business Association (BeluxCham, CEEC, CCIFV, CCIPV, DBAV, GBA, ICham, NordCham, Spanish) members: your Business Association will soon be in touch with you directly in this regard.